increase profits on every renewable energy project. 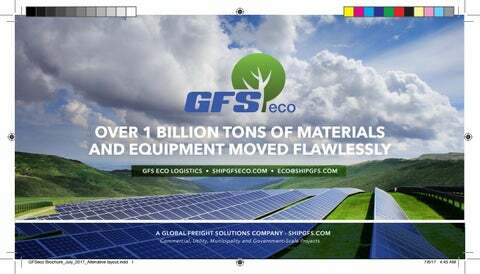 GFS Eco is simply the only logistics company you’ll ever need. WHAT MAKES GFS ECO DIFFERENT? In a word, everything. 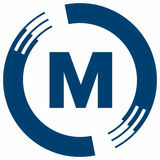 We’ve rewritten the rules so you can expect more from your logistics partner. We make your job easier by delivering on-point service, optimized and targeted deliveries to job sites and create personalized solutions for your every project-specific requirement. Our team comes from the renewables industry and intimately knows what you need to get done and everything that’s riding on the successful execution of product, materials and equipment to a live job site. That’s why we’re so proud of our 99 percent on-time/ undamaged rating spanning over 20 years of flawless service. That’s a metric you can bank on. 8-page brochure for logistics client, to be distributed at an industry trade show in Las Vegas.